Doctors are calling for urgent action to address the issue. 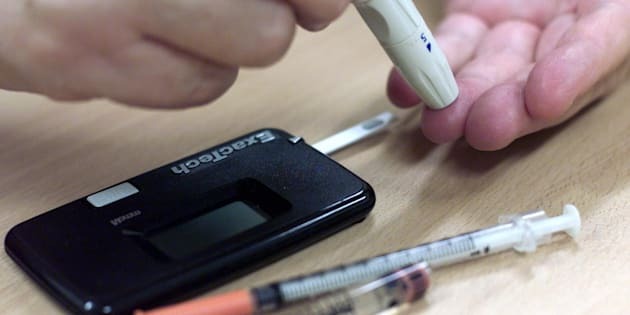 Australia's facing a diabetes crisis and the government needs to do more, doctors say. Doctors are warning that Australia needs to get serious about the nation's diabetes crisis, with new statistics revealing more than 4,400 amputations resulting from disease are carried out each year. Diabetes Australia chief executive Greg Johnson said the situation was so bad that every day 12 amputations were performed on diabetes sufferers at hospitals across the country, costing the nation almost $1 billion annually. The release of the alarming statistic, from the Australian Atlas of Healthcare Variation, coincides with the start of National Diabetes Week. "Australia's health system is struggling to manage the growing burden of chronic disease, most notably type 2 diabetes, and the fact that there are more than 4,400 diabetes-related amputations in Australia every year as a result of diabetes underlines how critical this issue is,"Johnson told the launch of National Diabetes Week in Melbourne on Sunday. "Experts estimate that spending on diabetes-related amputations, and other costs related to diabetic foot disease, costs Australia around $875 million every single year. "Worryingly, surveys show that the general public underestimates the seriousness of diabetes and most people aren't aware of the connection between diabetes and amputations." Eighty-five percent of diabetes-related amputations could be prevented if problems were detected early on, he said. That's because almost all diabetes-related amputations start as sores or ulcers on the foot that if detected and treated when they appear don't usually progress to amputation level. Doctors say diabetes sufferers should have their feet checked twice a year to make sure they don't risk having to get limbs amputated. Diabetic foot disease costs Australia around $875 million every single year. Johnson called on the federal government to work with the states to take urgent action on what organisation called "a national emergency". "The next Federal Government should work with State and Territory Governments to establish and fund a Taskforce dedicated to leading and directing the initiative," he said. "Diabetes amputation prevention has to be a priority for every Primary Health Network in Australia." Melbourne resident Jake Williams is the human face of the national crisis. He has lived with diabetes since the age of 11 and had to have a number of amputations in recent years due to complications arising from the disease. "When I bought a new pair of thongs they were a bit tight on the toes but I didn't think much of it," Williams said. "A wound developed that wasn't managed as well as it could have been and the next thing I knew I was in hospital for almost three months having parts of both feet, including both big toes, amputated. "Australians with diabetes need better education so we can look after our feet and stop problems like these developing." He said people with diabetes needed better education "so we can look after our feet and stop problems like these developing".